Premium belt buckle by Art Pewter. Crest inlaid into the centre of the buckle. 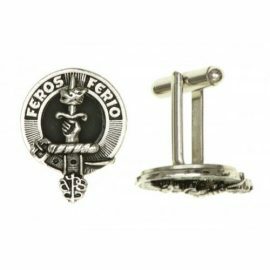 Art Pewter clan crest badges are authentic representations taken from the Arms of the Chiefs of the Clans. Made in Scotland and approved by the Standing Council of Scottish Chiefs. 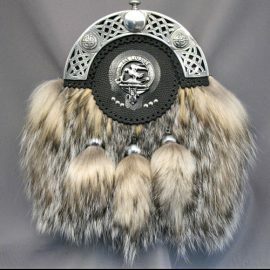 Art Pewter clan crests are authentic representations taken from the Arms of the Chiefs of the Clans. 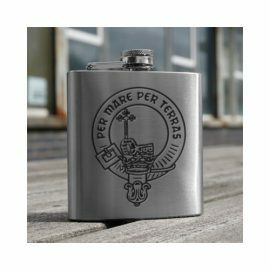 The Clan Crest hip flask is great accessory for those looking for something special. 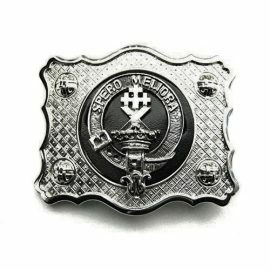 The clan crest and motto is engraved into the stainless steel finish. Supplied boxed with black satin lining and funnel. 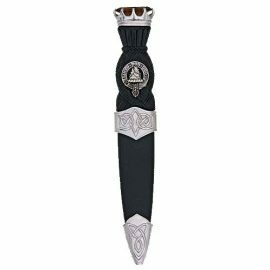 Clan Crested Skean Dhu crafted in Scotland by Art Pewter. Designed to fit comfortably in the sock. Over 100 clans available. 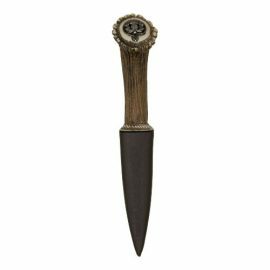 This Skean Dhu is available in your own clan crest as well as the stone color of your choice. Available in various stone colors – Amethyst, Blue, Cairngorm, Emerald, Jet Black and Dark Red. 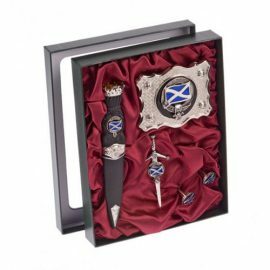 Clan Crested Skean Dhu, Belt Buckle, Cufflinks and Kilt pin crafted in Scotland by Art Pewter. Over 100 clans available. 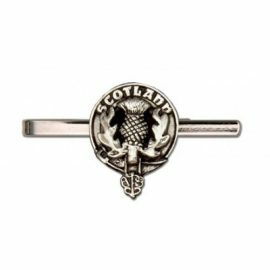 The Skean Dhu, Buckle, Cuff links and Kilt pin set are available in your own clan crest as well as the stone color of your choice for the Skean Dhu. Available in various stone colors – Amethyst, Blue, Cairngorm, Emerald, Jet Black and Dark Red. 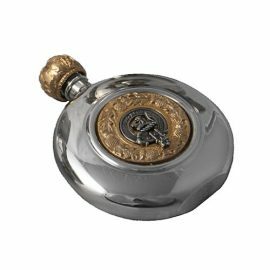 The Clan Crest round sporran flask in polished pewter is a great gift. 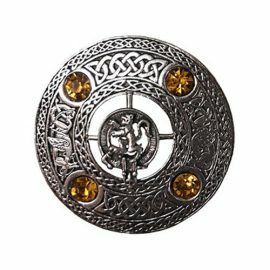 Choose either a gold plated or pewter insert around the Clan crest of your choice. 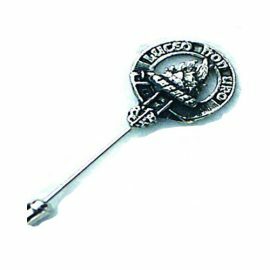 Over 200 clan crests, all of which are the latest representations approved by the Standing Council of Scottish Chiefs. 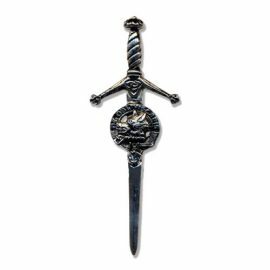 Clan Crested imitation Stag horn Skean Dhu crafted in Scotland by Art Pewter. Designed to fit comfortably in the sock. Over 100 clans available. This Skean Dhu is available in your own clan crest.